Book Affordable & Reliable Handyman Islington Services Today! Let the Handymen in Islington Take Care of All Your Property Needs! Broken tiles, creaking doors and chipped walls can take quite a time to repair, why not let the handymen Islington deal with them? Professionally trained and very dedicated, the handymen can tackle every home repair situation in your home. Using the most modern tools in the industry for the job, they will easily fix everything you need! It doesn’t matter if the job is small or large, the handy Islington team is always ready for the challenge! Why Choose Our Islington Handyman Services? The rates we offer to our are pretty reasonable bearing the quality of our services. We do not have any hidden or extra charges. Our pricing system is clear & transparent. We support 24/7 customer care hotline, so you can get in touch with us at any time. For your convenience, we offer a wide variety of booking options. 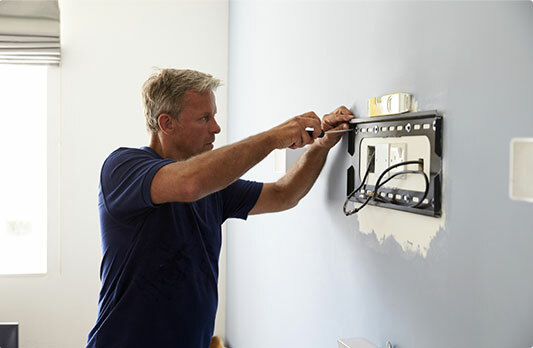 Coverage Let all those little tasks around your property to the trusted local Islington handymen. We cover all Islington post codes without distance surcharges. Wide Range of Services If you can’t find the service you need, don’t be disappointed. Just give us a call & ask us! Our polite customer care staff will give you an offer for it and they’ll make sure all your needs are met! Fully-equipped Handymen Every handyman Islington has all the right tools & experience to deal with all kinds of home repair challenges. Price Minimum charge is for 1 hour, then in half hour increments. For full price list, visit our prices page. Leave the pros to take care of all those little odd tasks around your property. Your pictures and photos can be placed wherever you need them. We can assemble & disassemble any types of furniture. By choosing us, you can be sure your TV will be safely mounted.